Yokoso—welcome to my Tokyo Disney Resort website! I created this site for several reasons: First and foremost, I love Tokyo Disney Resort. I was fortunate enough to be able to work there as a "cast member" (in 1994, 1998, and 2006) and it was a fantastic experience. Since it opened in 1983, Tokyo Disneyland and the surrounding area has grown by leaps and bounds; this website too has evolved over the years. When I started building this site in 1996 there was almost no English-language information about Tokyo Disneyland anywhere on the Web. Now there are a wealth of sites covering Tokyo Disney Resort, with detailed information on just about everything the Resort has to offer. My site remains what it started out as: a place for my personal photographs, thoughts and observations about Disney in Japan. I should mention that this site is not intended to provide up-to-date information on Tokyo Disney Resort. You won't find coverage of park operating hours, ticket prices, hotel reservation information, etc. Most of that information can be found on the Resort's official website. Also, I do not live in Japan, and therefore cannot accommodate requests for obtaining Resort merchandise, train tickets, arranging job interviews, etc. 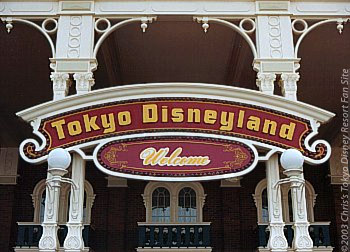 If you have been to Tokyo Disney Resort I would love to hear from you! I am particularly interested in hearing from cast members, past, present, and future. Feel free to write to me at chris@jazzpiano.com.